Late nights. Early mornings. 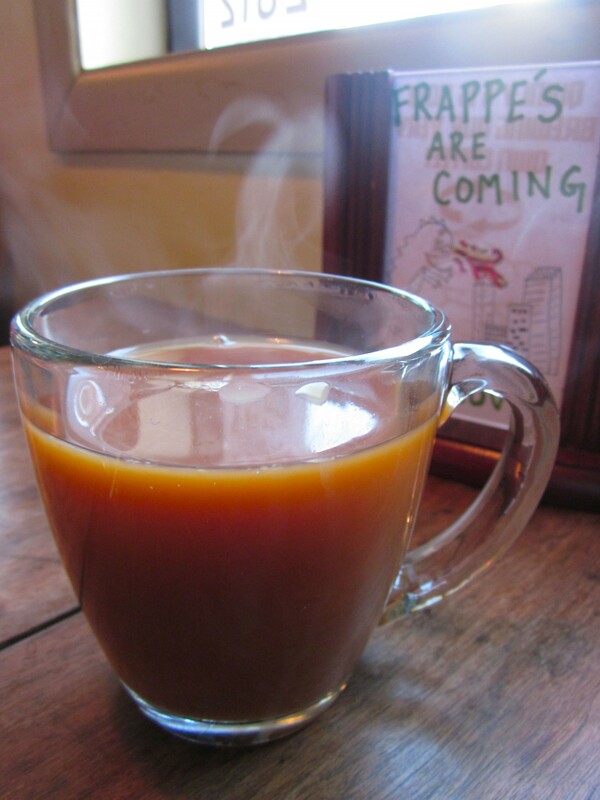 Not enough coffee in the world to keep you awake during that morning calculus class. It’s a story most college newspaper editors know well but would never change. We’re willing to put in the hours not only because of the close-knit community, one of the biggest draws, but because the skills you learn working for a college newspaper are invaluable across professional industries. Here are five reasons why. You meet a wide range of people. College is a bubble, but working on the paper exposes you to a wide range of people and viewpoints. During my four years on The Observer at Notre Dame, I interviewed a British literary scholar, the Chief Marketing Officer of Subway, the University president and the only Orthodox Jewish student on campus. Reaching beyond the bubble has huge value later on in the working world. You get used to criticism. Most professors at Notre Dame weren’t outwardly critical of my writing, focusing on what I could do better instead of what I did wrong. While I appreciated this approach in my classes, criticism is an unavoidable aspect of the professional world and life in general. My freshman year, I remember the first article I received back from my editor was completely covered in red ink, entire sections crossed out. I probably went home and cried that night, but soon learned not take things so personally (and that criticism helps you improve). You master the art of succinct writing. I used to think the phrase “writing is an art” meant I could use an unlimited number of words to make things sound beautiful. Now I believe that regardless of the writing form, every single word needs to have a purpose. Working on the paper taught me to boil down stories to their very core, write conversationally and include only the most powerful quotes. All of this prepared me well for a career in digital media. You get comfortable leading conversations. Most people love talking about themselves. Once you learn that, asking questions and leading conversations isn’t all that hard. When I started out as a reporter, I was scared to even place a call to a stranger. I read and reread my emails 10 times before requesting an interview. But with experience, I gained the confidence to assert myself during interviews, pursue contacts and ask the tougher questions. You learn to work well under pressure. Some of my most stressful days in college, I was under deadline for an article on the same day I had a major test. I spent free moments calling sources and writing while simultaneously trying to memorize history or statistics formulas. The Observer demanded everything of you, and you had to figure out how not to let your grades slip. It took years, but I learned to stay calm and trust that everything would get done (and that the world wouldn’t end if it didn’t). 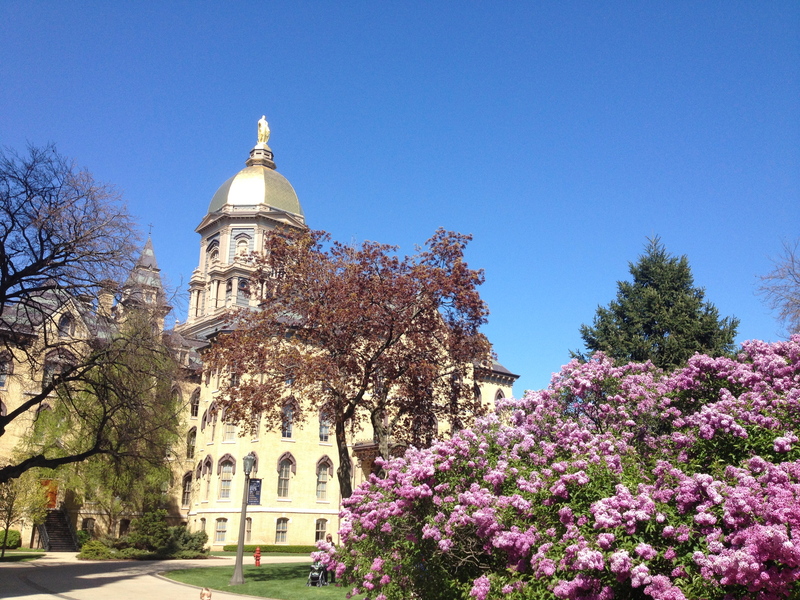 I loved being an English major at Notre Dame. But truthfully, none of my classes stand out to me years later the way my days and nights spent in The Observer office do. While I nurtured my love for literature through my major, the newspaper that gave me the hands-on, practical education I needed to jump into the real world after graduation. In the end, I’m thankful for the sleepless nights and overconsumption of chocolate. The Observer was the best (free) course I took at Notre Dame. *Author’s note: this article was first published in Notre Dame Magazine at magazine.nd.edu. I had never seen this much flannel in one place at Notre Dame. The room was filled with men and women in plaid shirts, and standing at the microphone was a poetry student from Notre Dame’s creative writing M.F.A. program, reading selections from her work. A few girls “whoop whoop” and others in the audience clapped, smiling at the student’s cleverness. This group thrived on wit, intellect and the beauty of language. The décor was an eclectic mix of things that shouldn’t go together but somehow did. Sunflowers sprang from the walls beside oddly shaped mirrors. Shelves held books and random knick-knacks. A wall was painted in red and yellow stripes, and a dusty emerald lamp hung in one corner. None of it made logical design sense, but that was the whole idea of Lula’s—letting loose, being creative and taking risks. Mostly M.F.A. students filled the room that night, but scattered throughout were undergrads and professors. In the middle of the readings, two huge football players walked in, dressed head-to-toe in Notre Dame gear. They were out of their element, and intentionally so. There was just something wonderful about that. 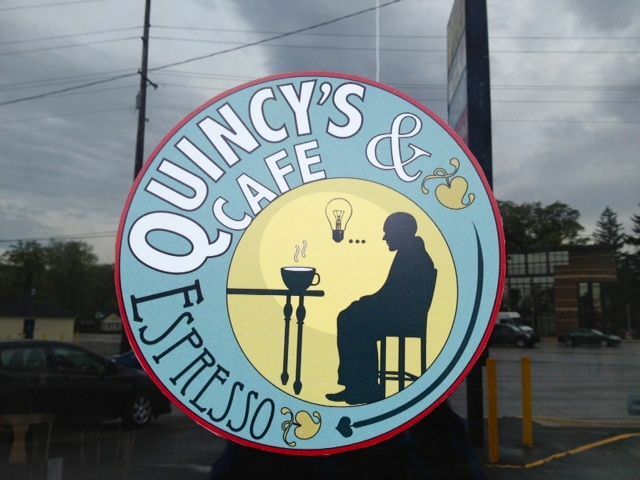 “I did the benchmarking at every café in Chicago practically, to just kind of figure out ideas, and figure out as much financial data as I could from the owners who would be forthcoming with it,” he said. The next step was writing a business plan and executing it. From the very beginning, Lula’s was meant to be more than just a café — inspiring the sharing of ideas and life stories. And Lula’s was always intended as a bridge between South Bend and the surrounding campus communities, including Notre Dame, Indiana University South Bend (IUSB) and Bethel College. But after 16 years it became apparent that Lula’s time — at least its time on Edison Road — was limited. On October 5, 2010, Egan spoke to an entrepreneurship class at Notre Dame. The very next day, he was surprised with a notice that his lease would not be renewed. Egan had just 50 days to vacate Lula’s. After months of searching for a new location, Egan let go of the dream and took a job with Anthony Travel. Egan said one of the blessings of going through this change was hearing what Lula’s had meant to so many different people. Over the years, Lula’s was called “the community living room,” “the gateway to South Bend,” and “the place in Michiana where people come to try to save the world.” Lula’s embraced open-mindedness, encouraging its customers to sit, talk and stay awhile. Students perched at corner tables with laptops, books lined shelves like a library, and cards and board games invited customers to play over coffee or after meals. “We created so many collisions,” Egan said, explaining that Lula’s was a crossroads for people, communities and ideas. The cozy, thought-provoking space attracted college students, Midwestern hipsters, counter-cultural high school kids, professors and professionals. “Somebody said, ‘That’s one great thing about Lula’s: you can be next to a nuclear physicist, two high school kids on a date, and two grandmas playing Scrabble,” Egan recalled. 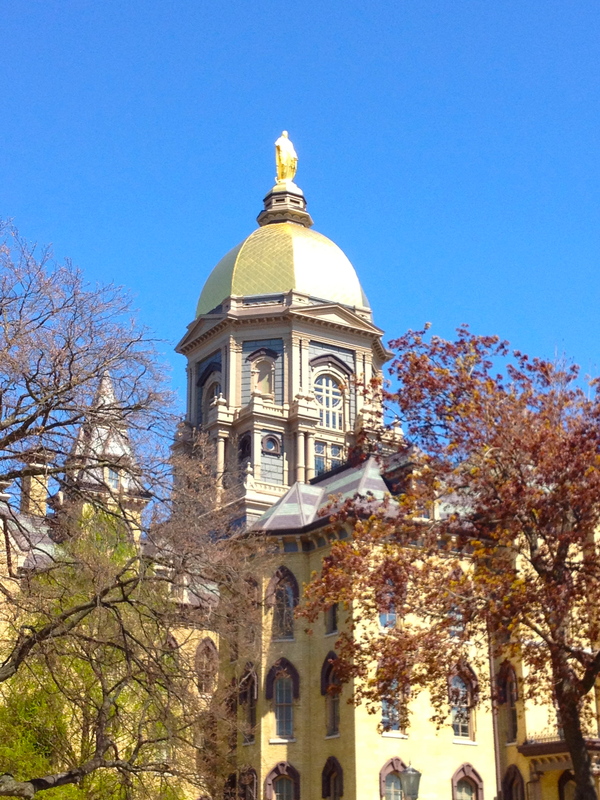 When I arrived on campus in the fall of 2008, I struggled to find a place that felt just “right.” As a quiet freshman uprooted from my New York City suburb, I needed more than Notre Dame football and tight-knit dorm life to feel at home. I often complained to my family that I hadn’t found a community of writers on campus. In fact, I hadn’t found any arts community at all. 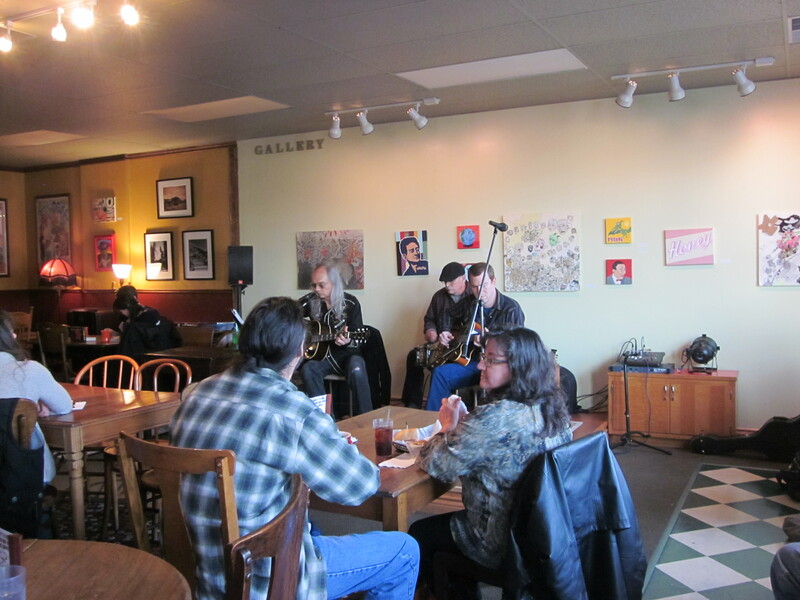 One day I heard about a poetry reading at Lula’s Café, which was close enough to campus to walk. I fell in love at first sight. The relaxed atmosphere, friendly staff and delicious food welcomed me right away. Lula’s became a refuge when campus was overwhelming or when I just needed to think. And Lula’s had been that safe haven, that escape, that home away from home for many. Egan said closing time was bittersweet, but he felt an outpouring of support as Lula’s history at Edison Plaza came to an end. Lula’s final day of operation was Wednesday, November 24, 2010. It closed for good on Thanksgiving Day. Lula’s staff spent the next few days taking the restaurant apart, and by November 30, all that was left at 1631 Edison was an 8×11 inch sign on the door. Another café followed but didn’t stay long, and the space once filled with Lula’s is still vacant. Some would say bartenders John Pelan and Harold Kelly had the best spot in the house that New Year’s Eve. All night, off in an alcove behind their simple makeshift bar, Pelan and Kelly poured foaming pitchers of Budweiser and stirred up the occasional whiskey and ginger ale. A radio in the corner spouted updates from the Notre Dame-Alabama national championship game. Beyond the alcove, men in suits with skinny ties and women with beehive hairstyles danced the waltz and fox trot to a live band. It was the final night of 1973. About 200 gathered in the auditorium of Notre Dame Parish in New Hyde Park, Long Island, for the annual New Year’s Eve dance. Among the revelers were my grandfather, Patrick Coyne, and my grandmother, Dorothy. Friends crowded around tables for 10; plastic cups quickly emptied. Men were making regular jaunts back to that little alcove to refill pitchers for their group. Regular jaunts, of course, to the radio at the bar. As the time till midnight grew shorter, the beer runs grew longer. Every man wanted an excuse to slip into the little alcove and catch the latest on the game. And as the game moved into the fourth quarter, they lingered longer, crowding around that radio the way they might crowd around a campfire. Within the parish, alliances to Our Lady’s university ran deep. Most members were first-generation Irish-Americans who had grown up together in immigrant neighborhoods of Brooklyn and Queens. The majority had not gone to college. Those who did went on the G.I. Bill. To my grandfather’s knowledge, none had gone to Notre Dame. But since childhood they had idolized the Irish. My grandfather was raised in Prospect Heights, Brooklyn, in the 1930s and ’40s, an area teeming with poor Irish, Italian and German immigrants, called the “Ninth Ward” by Brooklynites. His father, a longshoreman, worked hard but sometimes drank even harder. Despite the crowded apartment, tattered clothes and meager, unstable income, Papa looks back at those years fondly. Children in the tenement had few possessions but vast, sprawling imaginations. For the tenement kids, the streets, the parks, the abandoned lots and the stoops were their kingdom. Papa remembers waiting on the street corner for the 8 p.m. “bulldog edition” of the Daily News — only 2 cents then — to arrive. He’d flip to the sports section to read about the “Fighting Irish,” the only college football team he and his buddies took interest in. On Saturdays, Papa and his friends might head to the theater to see a double feature for 25 cents. A newsreel of current events always played between the two films. The boys took their love for the Irish out of the theaters and into the streets. But since the movies were in black and white, kids from Papa’s neighborhood never knew what colors Notre Dame really wore. Sports journalist Jimmy Cannon also grew up in an immigrant neighborhood of New York City. In a 1967 column for the Daily News, he writes about the pride that bonded the Irish slums of New York to an affluent university over 700 miles away. Like movie stars, Cannon says, Notre Dame players were revered from afar. 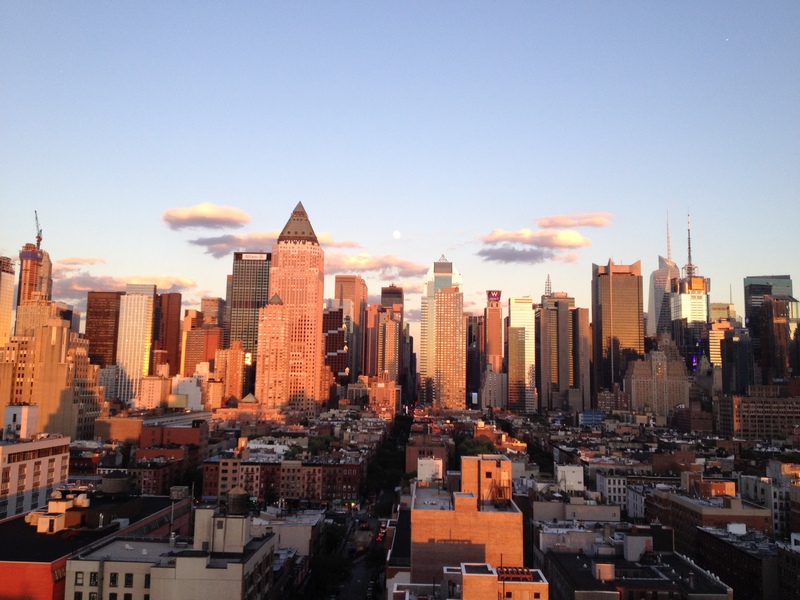 As a child, my grandfather barely crossed the boundaries of New York City. So for all he and his buddies knew, South Bend, Indiana, could have been a landlocked Emerald Isle. Perhaps Notre Dame’s remoteness made it even more captivating. As the boys of Brooklyn built their careers and rose into the middle class, they moved east into modest homes on Long Island but have remained close friends for over 70 years. Hugh Mullin, one of those friends, broke the good news about the championship outcome that New Year’s Eve of 1973. He had disappeared back with John Pelan and Harold Kelly — much to his wife Mary’s chagrin — and wasn’t seen again until around 11 p.m. Even the previously irritated wives joined in on the excitement. The band played The Victory March. When 1974 arrived at midnight, the bittersweet words of “Auld Lang Syne” soared through the auditorium and couples swayed in beer-fogged bliss. Thirty-nine years will have passed when Notre Dame faces Alabama again in another high-profile matchup for the national title. Since then, Papa has had a son and a granddaughter graduate from Notre Dame. He has visited campus countless times with his buddies from Brooklyn, watched it blossom beyond the original quads. 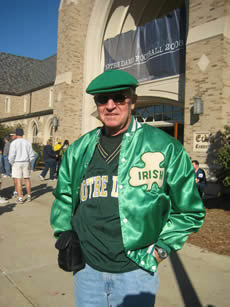 He’s discovered South Bend is a second home for the Irish but no replica of the Emerald Isle. For my grandfather, he certainly won’t be in a church gymnasium this time around with the Crimson Tide. ND. UM. ’08. Let’s bring this back. 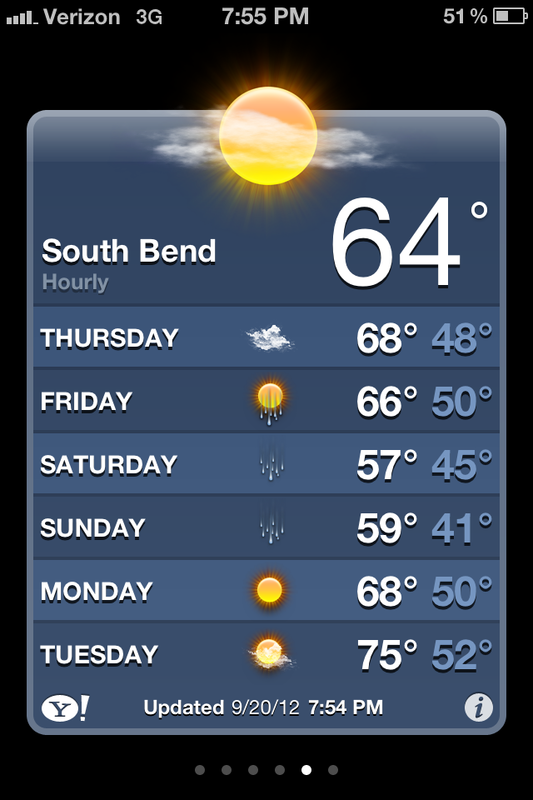 On the bus home from work this evening, I checked the weather for South Bend and was bummed to find a 50 percent chance of rain forecast for Saturday. Rain during the 24 hours I’ll be on campus, during the one ND tailgating experience I’ll have until next year, during the one home game I’ll be at this fall after attending all 26 over the past four years? I wasn’t thrilled, to say the least. But then I thought: let’s bring this back. 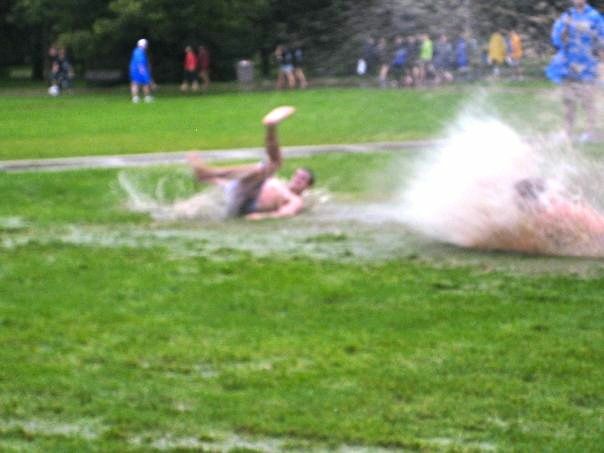 The mud, the wet, the win. Let’s bring ’08 back like we never graduated. Saturday calls for some mucky, mucky Fichigan. 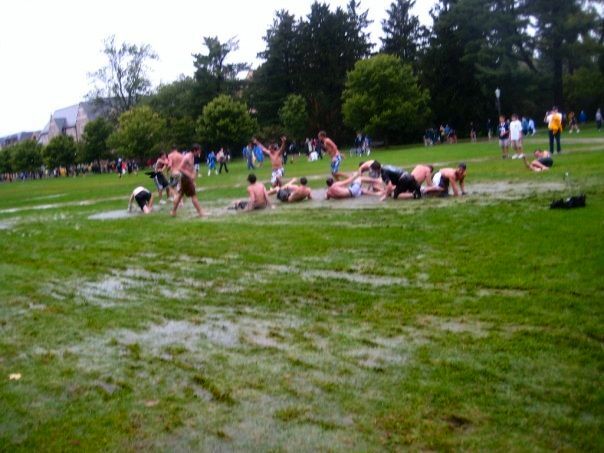 Epic mudsliding on South Quad. Sept. 13, 2008. Is this real life? That’s exactly what it is. 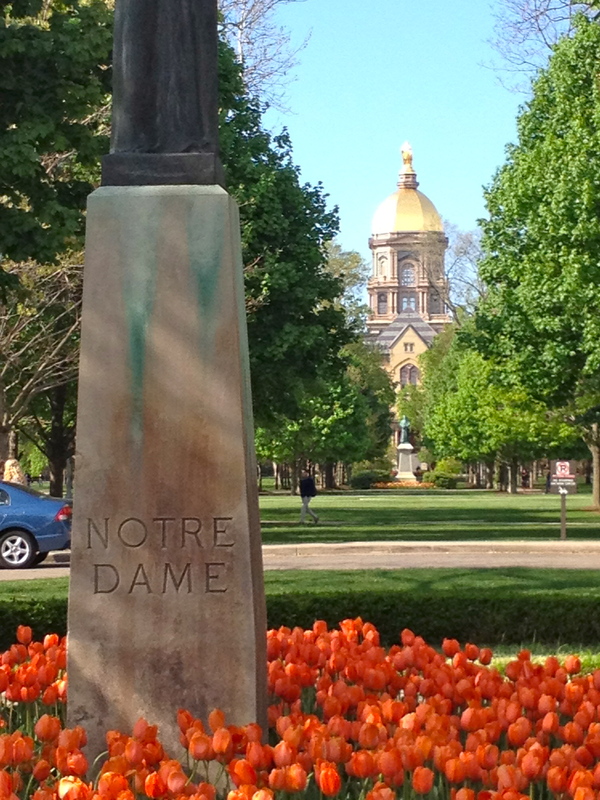 Classes commenced at Notre Dame last Tuesday, and the first “official” week begins tomorrow. For the first time in four years, I won’t be going back. 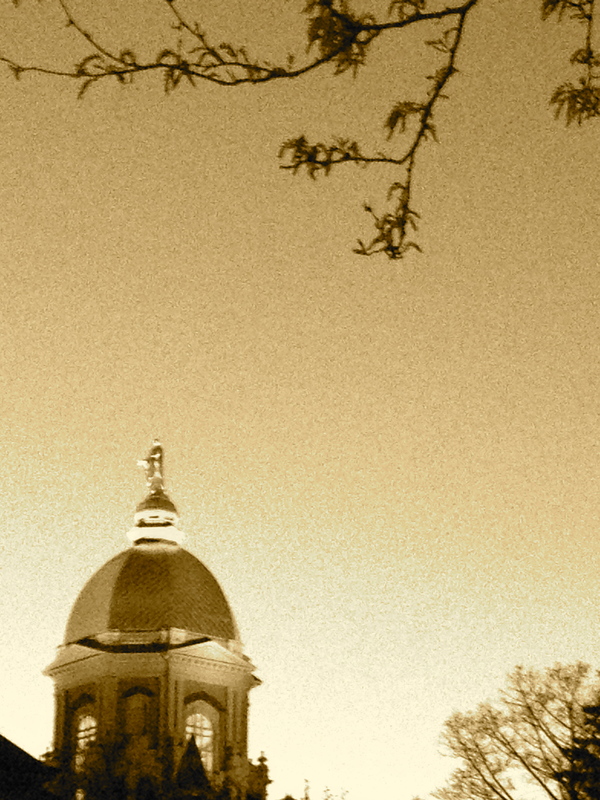 It’s a strange feeling, knowing that life at ND goes on without me or the other 2,000 plus members of the Class of 2012 that ate, studied, hung out, played sports, performed, chatted, made friends, made trouble and infinite other things within the boundaries of campus since 2008. Thinking about campus, classes and parties, I feel pangs of sadness and nostalgia for those wonderful years I know I’ll never get back. But I am excited and ready for the next phase, which Notre Dame prepared me well for. Now, the Class of 2012 is finding out its true meaning. 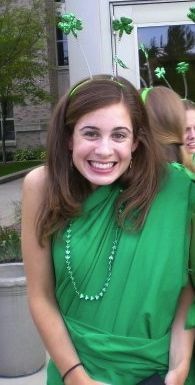 All decked out for my first Notre Dame pep rally as a student! Wow. August 2008. 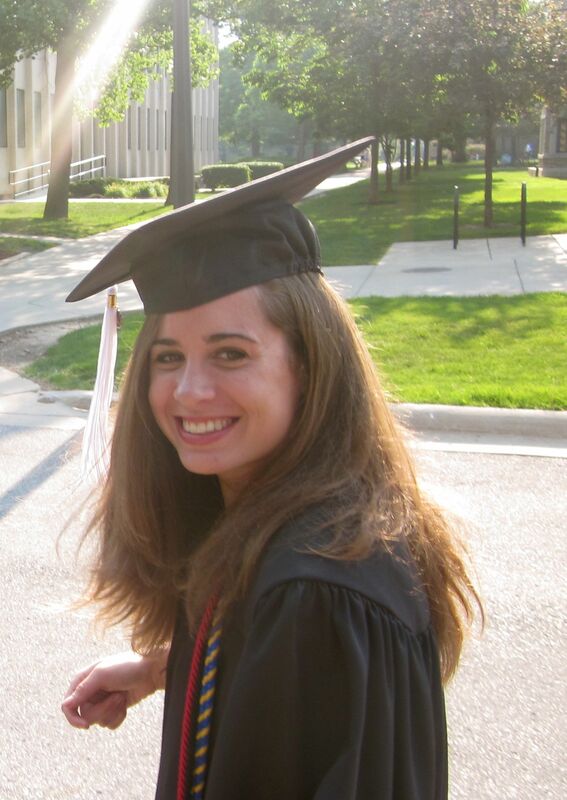 Four years later, decked out in cap and gown, all set to graduate from Our Lady’s university. May 2012. 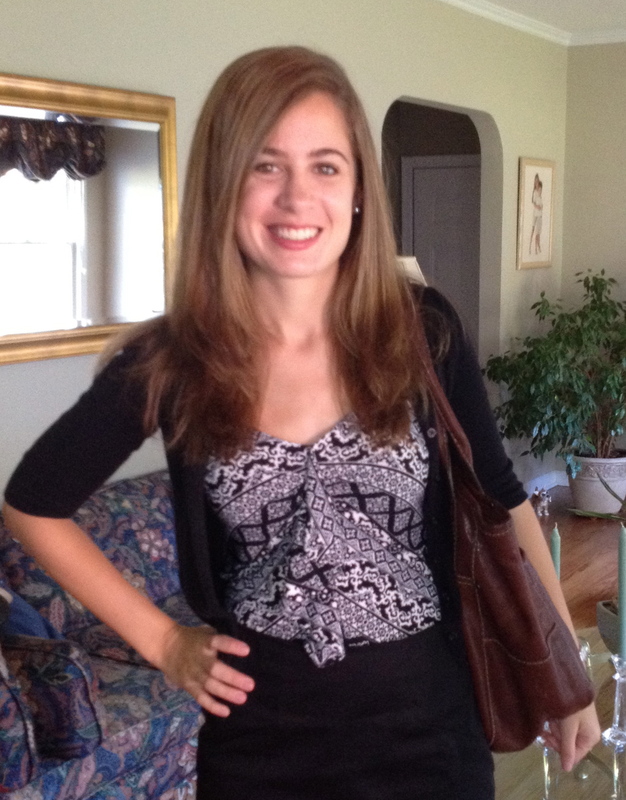 First day of work. “Real world” begins! August 2012. 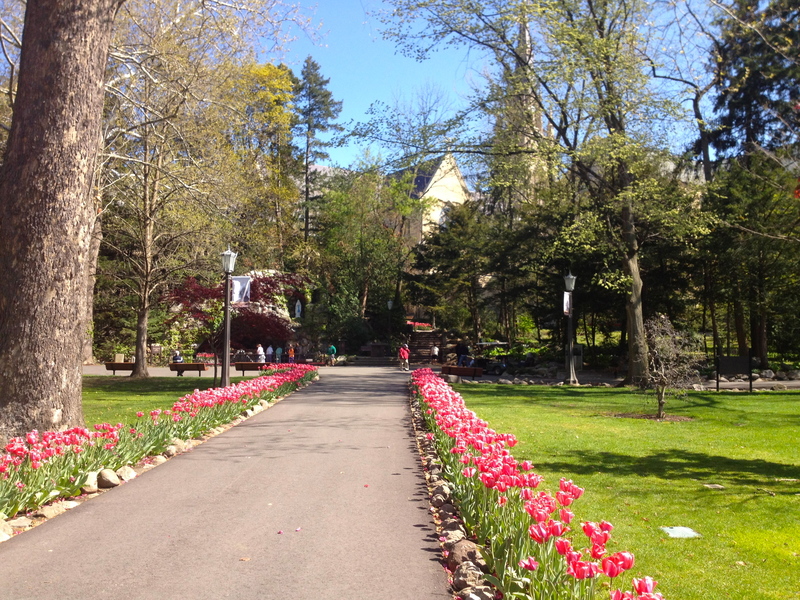 Can’t believe I’ve been an alumna of this beautiful place for a month now! Swimming. Sundresses. Street fairs. 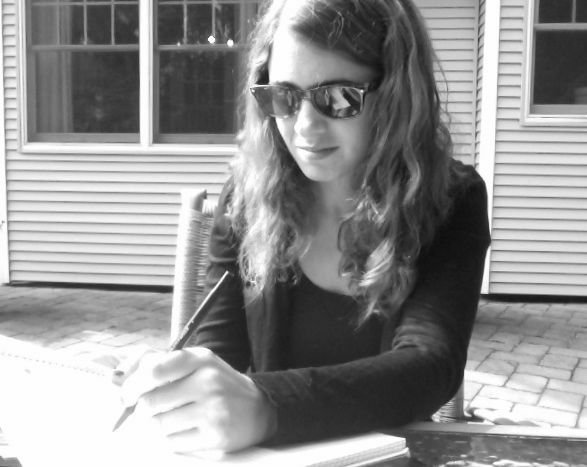 There are so many things to love about summer, but writing outside may be my favorite. I have a few months to go before I begin my new job, and I’ve been trying to get some sun and catch up with reading and writing in the meantime. Here are some of my all time favorite spots to ponder ideas, scribble down thoughts or seriously write. I learned this trick at the Iowa Young Writers’ Studio back when I was a junior in high school. There’s no better source of inspiration for a story than picking up and trying to piece together scraps of conversation from daily life. Listening to entire conversations is okay, too. I mean when you’re out in the public it’s fair game, right? It’s away from the commotion, but close to an endless supply of snacks and San Pellegrino! Each year since I was about 11 my family has gone down to the Jersey Shore and stayed at the same hotel, the Concord Suites. The second story of the building has a wide balcony with tables that look out over the street. I love the clear, breezy nights when you can see the stars, and the combination of hushed conversation of and the hum of the ocean makes for the perfect background sound. Every year I try to write at least one poem from up there. 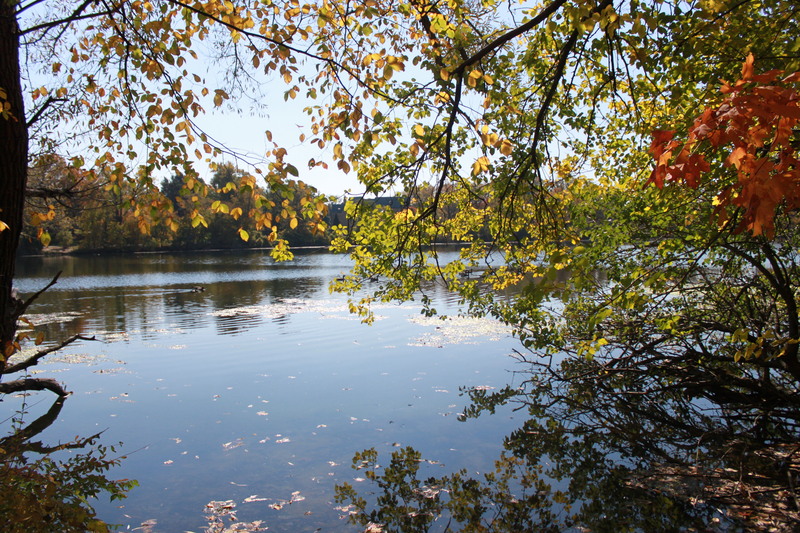 I never actually wrote here, but my roommate Megan and I would often go for runs around the lakes at school, and each time we passed this spot I’d vow to come back with my notebook. Basically, there’s a charming little writing desk off in a tree-shrouded area beside a beautiful lake, and I never actually see anyone using it. I’ll definitely have to find some time away from bookstore-shopping and tailgating to come back here during a football weekend. Okay I may be cheating a little bit with this one, because obviously a café is an ideal spot for writing. But writing OUTSIDE a café is most ideal! I love the outdoor tables certain coffee shops have, where you can sit with your laptop, enjoy your latte and the warm weather and still observe people on the street. Going to miss this place.